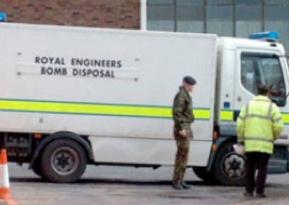 Royal Engineer Bomb Disposal began during WWII. In September 1939, it was decided by the War Office that the Royal Engineers (RE) would provide temporary bomb disposal (BD) teams until the Home Office could recruit and train special ARP teams to do so. 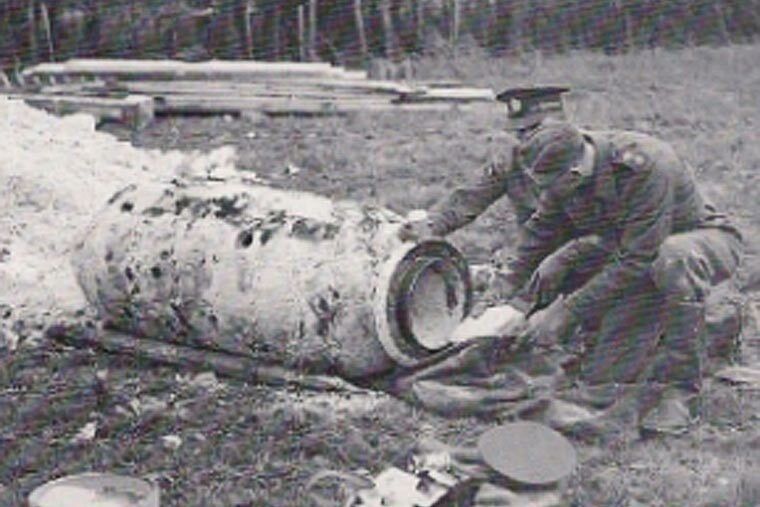 The first teams consisted of an NCO and two sappers, and were required to dig down to the bombs and blow them in situ. 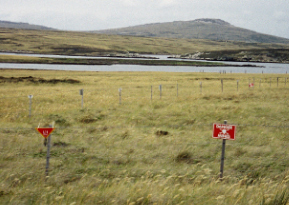 The first bombs to be dropped on the UK were in the Orkneys in October 1939, while the first unexploded bombs fell on the Shetlands in November 1939. The Formation Order of May 1940 formally handed responsibility for Bomb disposal to the Royal Engineers and created 25 bomb disposal sections, soon increased to 134. Despite almost non-existent equipment and little training, the sections learnt fast. In June 1940, just 20 unexploded bombs were dealt with. This rose to 100 in July, 300 in August and over 3000 in September. By this point, the BD section had increased in number and been organised into 25 BD Companies. Between September 1940 and July 1941, over 24,000 bombs were made safe and removed. In 1942 and 1944, BD Companies also joined the task forces for the invasions of Malta and France. Peace in 1945 resulted in a drastic reduction of BD units along with the rest of the Army, and by January 1950 RE BD consisted of one regular squadron headquartered in London and six independent territorial squadrons, later reformed into Army Emergency Reserve Squadrons. British Troops were first deployed in Northern Ireland on 14 August 1969. This ongoing deployment triggered the requirement for Search teams to operate alongside BD teams to find terrorist munitions, documentation, devices and booby traps. Their mine clearance and construction background meant this role fell naturally to the RE, and the first Search courses were run from the Royal School of Military Engineering, Lodge Hill. It was during this period that RE BD and Search teams started to operate closely with the Royal Army Ordnance Corps (RAOC), who would later become the Royal Logistic Corps (RLC) Ammunition Technical Officers (ATOs). In April 1982 Argentina invaded the Falklands; included in the rapidly formed task force were two RE EOD personnel, whose role was envisaged as disarming any unexploded bombs on Port Stanley Airport, once liberated. However, when the Task Force fleet came under bombardment the Royal Naval EOD teams quickly asked the RE team to assist. The RE team successfully defused bombs on HMS Argonaut on 22 May, before tackling two bombs on board HMS Antelope the following day. The second exploded, killing one operator and severely wounding the other. After the Argentinian surrender, 49 EOD Sqn was tasked with clearing the battlefield of mines and UXO, suffering several casualties in the process. On 25 February 1991 allied forces crossed the border into Kuwait in response to the Iraqi invasion in August 1990. The RE element included 49 EOD Sqn, tasked with conducting the battle area clearance behind the allied advance. EOD teams were required to clear hospitals, power stations and burning oil refineries of booby traps and clear minefields as well as dealing with more usual UXO. In total, EOD teams cleared over 500,000 items of UXO during the conflict, before handing over to Royal Ordnance civilian teams. 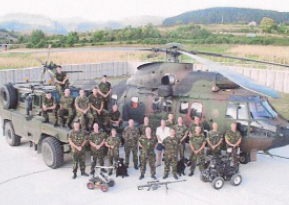 In 1992 a UN task force including RE EOD teams deployed to Bosnia-Herzegovina to facilitate the delivery of humanitarian aid during the Balkans conflict. There remained a British commitment in the country until 2007, although the numbers of EOD personnel varied greatly as did their employment. 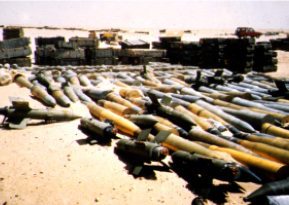 In 1995, one EOD troop disposed of 2,750 mines and other items of UXO. EOD teams again deployed during the Iraq War in 2003. As well as conducting battle area clearance behind the advancing allied line. They were heavily involved in the aftermath of the war clearing massive quantities of unexploded bombs and military ordnance, including mines, shells, bombs and rockets. 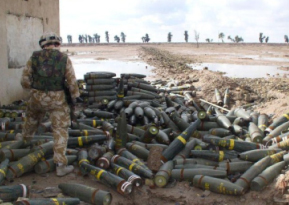 Much of the ordnance was just scattered and abandoned as the Iraqi Army collapsed. EOD and Search teams deployed to Afghanistan throughout the thirteen year conflict. 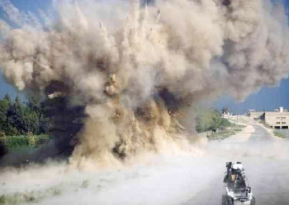 In this time, the EOD capability evolved dramatically to deal with the renewed Improvised Explosive Device (IED) threat that was severely limiting the freedom of movement of allied troops as they attempted to stabilise the country.